Are you an Electrician looking to live and work in Australia? 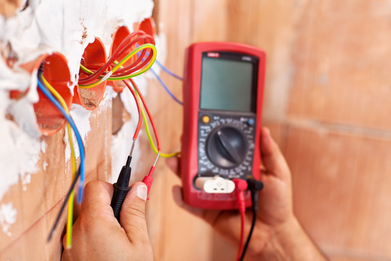 Electricians are highly demanded in Australia and are on the Australian Occupation List and their Assessing Authority is Trades Recognition Australia (TRA). We have Future Skills International working out of our centre, who deliver the Australian Government Approved Skills Assessment and Registration for Electricians in the UK and Ireland. They are TRA Approved, meaning they can deliver the Electrical Skills Assessment on behalf of the Government. An Electrical Skills Assessment is needed in order to obtain your Australian Electrical Registration, so that you can work as an Electrician in Australia. The Down Under Centre specialises in delivering Electrical Skills Assessment for the purpose of migration to Australia. We assist new clients daily and we deliver the monthly Training and Practical Assessments, here at our venue in London, UK. It’s a three-stage process for your Electrical Skills Assessment for Australia. Read more about it on our dedicated Electrical Skills Assessment page. The Down Under Centre also have an Electrical Assessment Ready Programme (EARP Book) available for Electricians who need to revise and brush up their electrical theory and skills, so that they can prepare for their Electrical Practical Assessment.